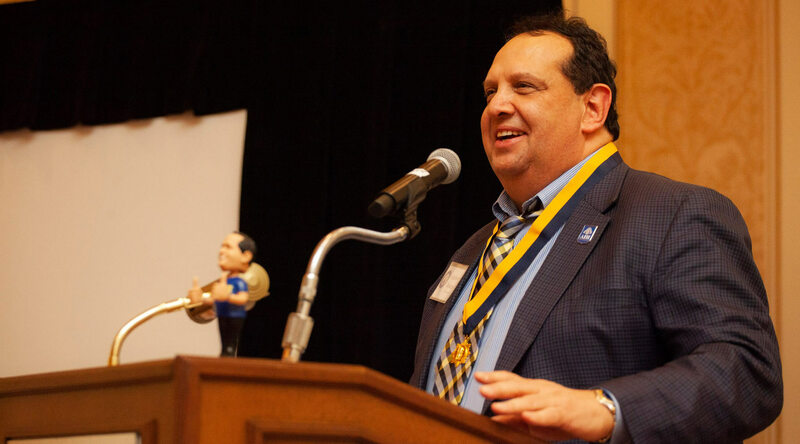 On December 22, nearly 100 people flew in from around the world to pay tribute to Andrew Borans (Florida State, 1980), the CEO of the Alpha Epsilon Pi Foundation, as he was presented with the Order of the Lion, Alpha Epsilon Pi’s highest honor. The Order of the Lion is presented to an alumnus for service to the fraternity over a long span of years, above and beyond the call of duty. Of the more than 105,000 men who have been initiated into AEPi, fewer than 60 have received this honor. Andy Borans may be one of the most deserving honorees ever. 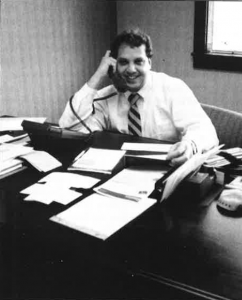 In 1980, Brother Borans began a 10-year stint working for AEPi, overseeing its growth from 57 chapters to 109 chapters. In 1990, he went into the private sector and founded a successful New Jersey-based sportswear and apparel company. After selling his business in 1998, Andy returned to AEPi, charged with stewarding the organization’s development into the 21st century. 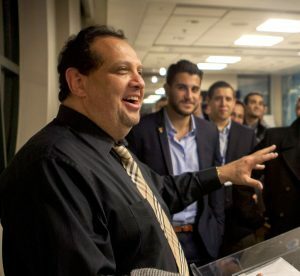 Brother Borans is actively involved in a number of national and international Jewish causes, including the Jewish National Fund (JNF), American Israeli Public Affairs Committee (AIPAC), Conference of Presidents of Major Jewish Organizations (COP), B’nai B’rith International, Hillel, and Chabad on Campus. He also currently serves as a member of the Board of Governors of B’nai B’rith International, AIPAC, World Jewish Congress (WJC), and was a founding member of the steering committee for the Israel on Campus Coalition. Brother Borans has been the recipient of several awards for his tireless dedication to Israel and commitment to the Jewish people. He is a noted authority on the Jewish student experience on university campuses and is called upon regularly for his unique perspective. Recently, he was invited by Israel’s Ministry of Foreign Affairs to discuss the branding of Israel on North American university campuses. “The letter from David Bacharach touched me in a way that I never would have thought. He was one of my best friends, a great man and just a great AEPi leader. Hearing that letter read, gave me goosebumps,” said Brother Borans. “I put off having this dinner in my honor for years but I thought now was the time to do it as I launch a campaign to raise an $18 million endowment for the Foundation,” he said. Spearheaded by his own $54,000 gift, the Andy Borans Legacy Campaign for the AEPi Foundation raised $1.48m at the Order of the Lion dinner. With Andy Borans, there is no AEPi goal that is out of reach.